Another fine day catching redfish for Joe, Jason, Rio and Kenny on Cape San Blas!! Thanks guys! Unbelievable redfish day with Marcus and Matt out of Cape San Blas. They were back again today for some more action. Lost count after 32!!! Thanks guys! 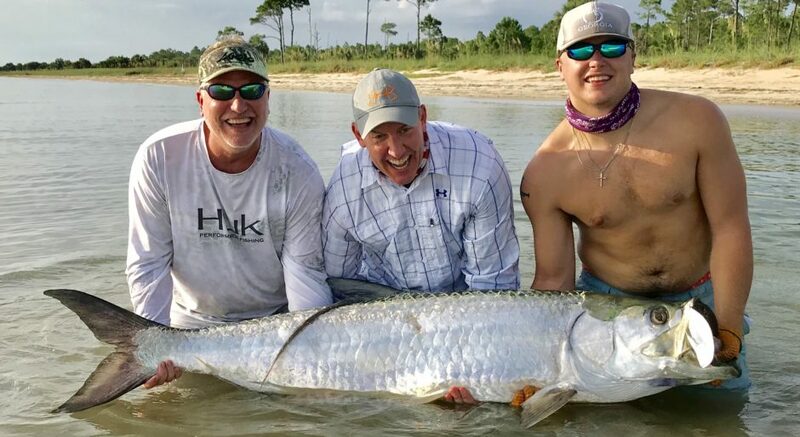 Posted in Fishing Charter Pictures	| Tagged Book A Charter, cape san blas, charters, fishing, fishing charter, flounder, guide, Indian Pass, inshore slam, Redfish, Speckled Trout	| Comments Off on Unreal Redfish Action Today!! Marcus and Matt pulled on big reds today from Cape San Blas!! It was a big trout and redfish morning for Clarence and Ryan!! These guys could fish and made easy work of it today!! Posted in Fishing Charter Pictures	| Comments Off on Great Guys, Great Trip!! St Joe Bay Redfish and Trout! Lots of fun catching redfish and trout with Chris, Jep, Sawyer and Ryan this morning! Thanks guys! Posted in Fishing Charter Pictures	| Comments Off on St Joe Bay Redfish and Trout! These Wisconsin Kids Could Fish!! 9 year old Ainsley and 13 year old Isabel put on a fishing clinic today! The dads, Steve and Hayez, held their own too!! Posted in Fishing Charter Pictures	| Tagged Book A Charter, cape san blas, charters, fishing, fishing charter, flounder, guide, Indian Pass, inshore slam, Redfish, Speckled Trout	| Comments Off on These Wisconsin Kids Could Fish!! A Great Inshore Slam for John and Butch!! Some big trout, a huge flounder and lots of redfish for John and Butch’s inshore slam today!! Posted in Fishing Charter Pictures	| Comments Off on A Great Inshore Slam for John and Butch!! Crazy redfish action today as we pulled up on a school of over 100 redfish!! Mike and Marcus caught 20 or so before heading out for speckled trout and flounder!! Posted in Fishing Charter Pictures	| Comments Off on Awesome Redfish Bite Today!! A 13 Year Old’s Awesome Day! 13 year old Austin was the man today! He caught the most trout and redfish!! Thanks to John and Scott for booking with me! Posted in Fishing Charter Pictures	| Comments Off on A 13 Year Old’s Awesome Day! Lovin’ the Big Trout and Redfish! Had two trips today and both were full of excitement as we managed to put some big speckled trout and redfish in the boat!! Posted in Fishing Charter Pictures	| Comments Off on Lovin’ the Big Trout and Redfish!